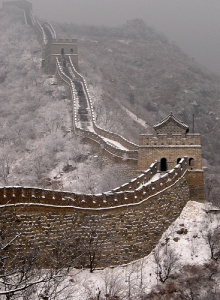 The Great Wall, an ancient Chinese Invention. Kind of like a fence only bigger. It kept undocumented workers from crossing the border. Immigration. One of those nasty political hot-bed issues that will frequently be in the news because this is an election year. Here’s a few comparisons between the U.S. and some other countries. By simple numbers, America has more illegal immigrants than any other country in the world. Latest figures put illegal immigrants in our country at over 11 million, give or take. It’s a hard number to nail down precisely, because, you know, they are illegal. They’re not really “reporting in” so to speak.